This week's Herb of the Week is Rosemary. I love this fragrant herb as it is able to provide multiple benefits to both health and skin. In addition, it is a delicious ingredient in many recipes. Rosemary also provides an excellent essential oil for aromatherapy use. Rosemary, or Rosemarinus Officinalis, is a highly aromatic herb. Used in skin care, ayurvedic medicine, and cooking, it grows wild throughout the Mediterranean. It can also be seen cultivated in places such as Tunisia, Croatia, and France. A member of the mint family, the plant has long, needle-like leaves and considered is an evergreen-type plant. Rosemary has been used for centuries to treat many different medical issues. Throughout Europe, it is often used to help help with the symptoms of indigestion, as well as joint and muscle pain. How can Rosemary Help the Skin? It's really important to note that people who are pregnant, have high blood pressure, or seizure disorders shouldn't use Rosemary. 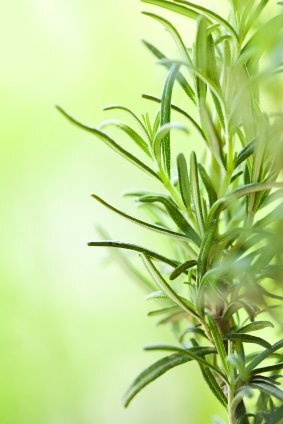 Try burning a little Rosemary essential oil in your home and see if the fragrance can help relax you, as it does for me!